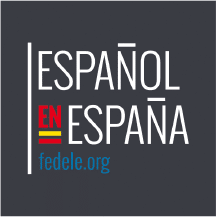 Our Spanish DELE Preparation Course will prepare you to pass the DELE Exam (Diplomas in Spanish as a Foreign Language with the Instituto Cervantes). LAE Madrid has DELE teachers in Madrid with vast experience that have prepared tons of students for the exam and have given them the tools they need to pass the DELE successfully! What is the DELE and why should I take it? What timetable does LAE Madrid offer for DELE Preparation? What are the levels of Spanish as foreign language? What does the DELE Preparation Course include at LAE Madrid? The DELE exam requires thorough preparation and LAE Madrid has teachers that know the exam inside and out. We can help you navigate all of the sections of the exam and how to best prepare for each of them. You will also revise past examination papers and learn tips and techniques for taking the exam. DELE Exam preparation courses have a flexible timetable so you get focused and tailored sessions that prepare you thoroughly for your exam with no distractions. We also offer a ‘DELE Duo’ course where you and a friend can study together for less! The courses are structured into different sections: Spanish theory, systematic procedures of the exam and practice test exercises, with feedback and tips on how to improve. If you are not sure how much preparation you need to pass the DELE exam, you can book a no commitment consultation with our DELE experts and they will talk you through your options and give you as much advice as possible. Email us to book a consultation.